Elementary Matters: Do I Add or Subtract? Brain research suggests adding movement with words in order to help the memory. That led me to this month's bright idea! 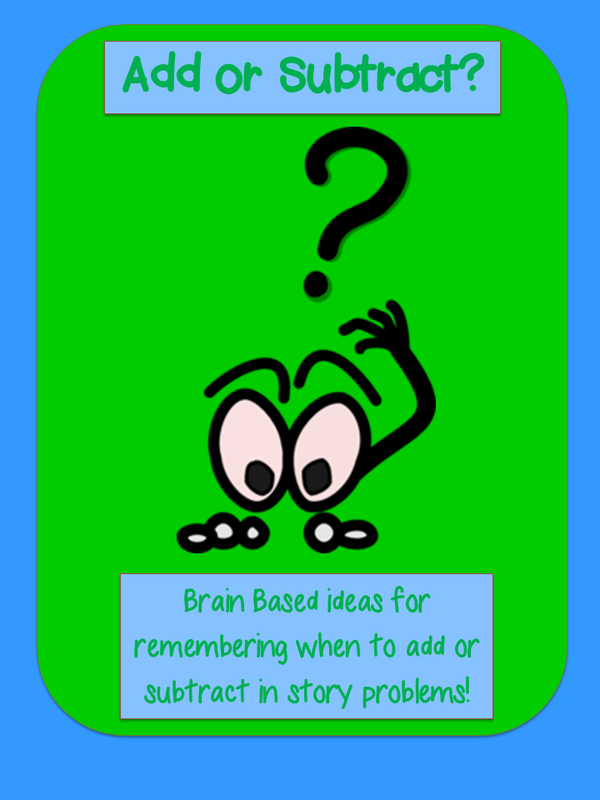 Many children struggle to remember when to add or subtract when they read math story problems. I decided to add some movement to help the kids remember when to add or subtract. When we talk about an addition story, I have the children gesture one arm out and reference the first set. Then they gesture the second arm out and reference the second set. Then while we ask the question, we swoop our arms together into a plus sign, and say "How many all together?" or "How many in all?" 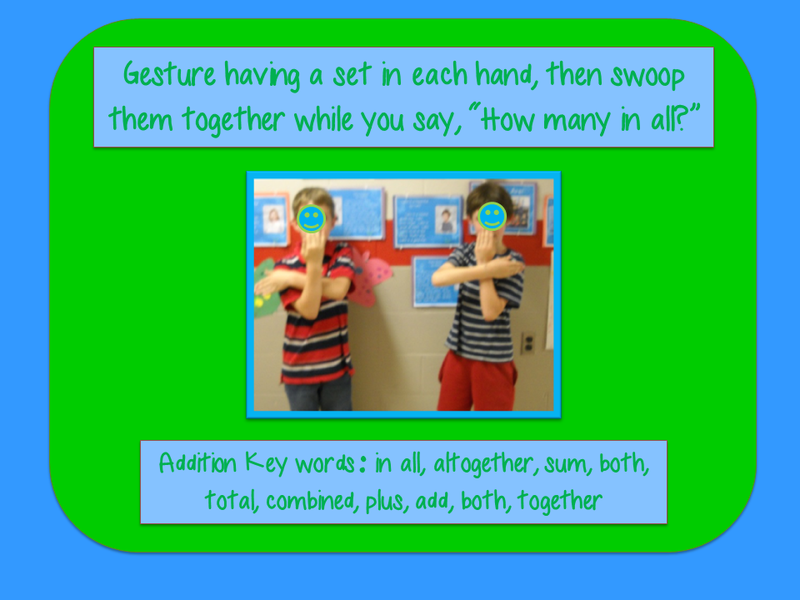 The motion of bringing both arms together into a plus sign while saying the words really helps! 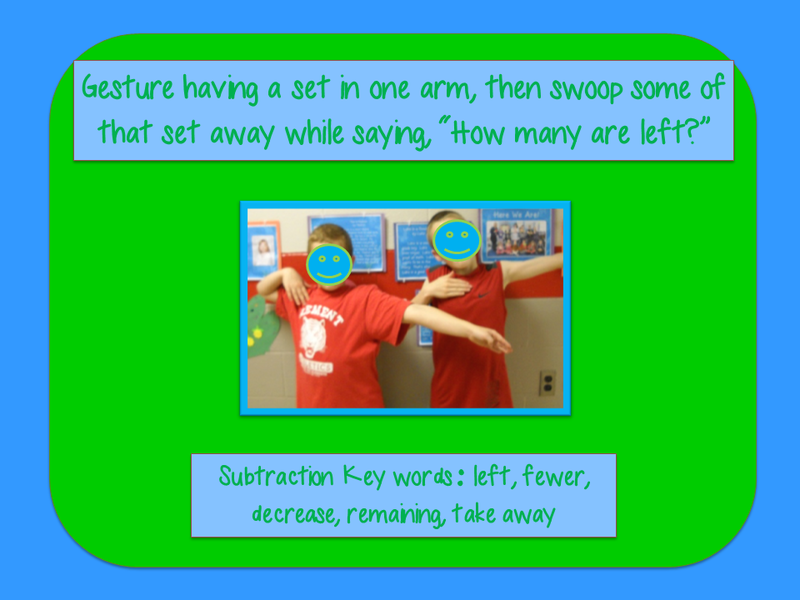 For subtraction, we start by gesturing a set in one arm. Then the second arm swoops away part of that set, making a minus sign with the arms. 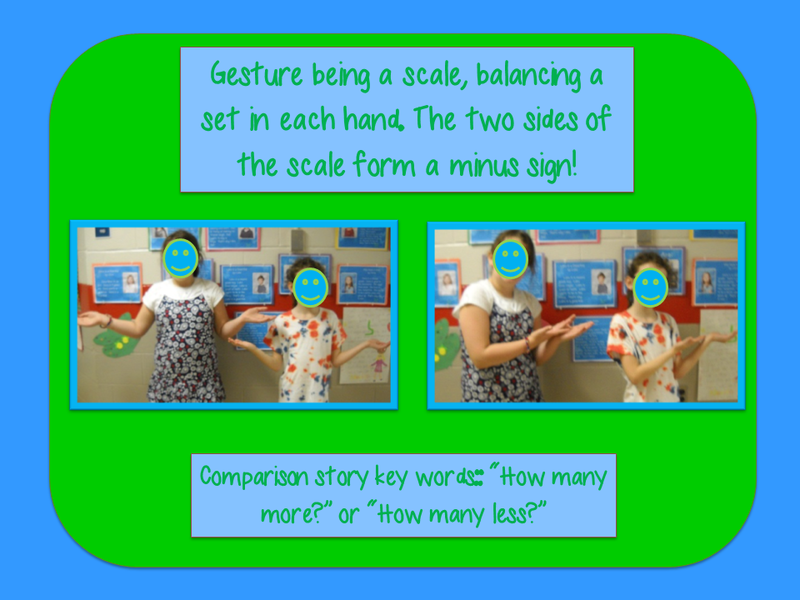 Finally, for a subtraction comparison story, we gesture being a scale, balancing a set on each hand while saying, "How many more?" or "How many less?" These gestures seem rather simple, yet with a few repetitions, the children remember them when they are doing word problems. In fact, I've had children come back to me long after they left my class and tell me how glad they are I taught them these gestures! If you like this bright idea, please consider joining me on Facebook, Pinterest, and Twitter. 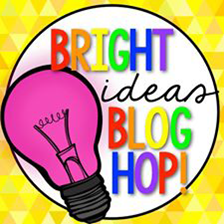 For more bright ideas from more than 130 bloggers, please browse through the link-up below and choose a topic/ grade level that interests you. Thanks for visiting! I love this idea! Anytime you get those kids moving, it seems to make a difference. Thanks for sharing! Sally, who runs the bright idea linky?! It seems like a terrific idea- I tend to need motivation from blog hops, linkies etc to get posts done, even though I have tons of ideas. Also, I went to a Greg Tang workshop, and he pointed out some interesting things about math vocab, such as: kids get confused with the word "more". It is used in both addition (ie 5 more birds flew by) but also subtraction/comparing (ie How many more birds were there?). I am so glad you posted this bright ideas to help with solving word problems. It's not so simple, so the more ideas we have to help our students, the better! Great ways to use movement to help with math! I think movement definitely helps kids remember. Plus, it makes it more fun too! I LOVE to add movement to all of my teaching. It really helps all children understand when they can move while learning. Great ideas! Thanks for sharing them. I love adding gestures to my lessons....but often can't think of good ones. Thanks for sharing! Super, super idea! Can't wait to try this with my students next school year! I have kids come back to me years later and thank me for sharing this tip!